Behavioral and architectural level requirements will rise from a 50% to an 80% contribution to overall system power reduction. This means that both programmable and configurable aspects of the platform (such as hardware accelerators) will be accessible via convenient layers of programmability. 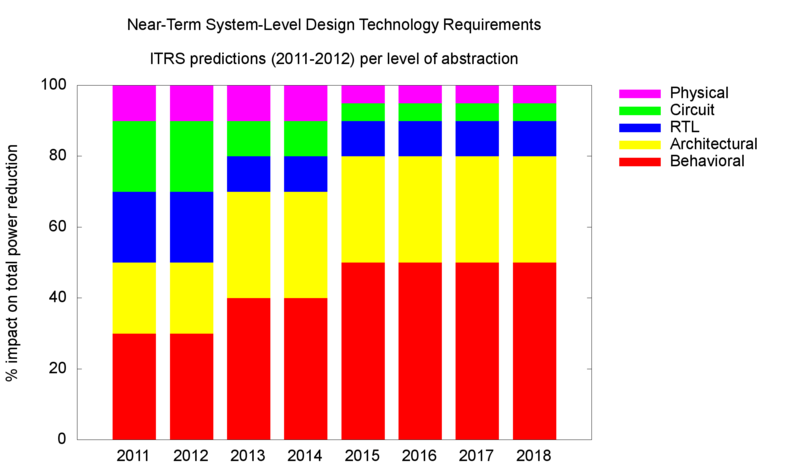 The current shift towards parallelism-aware languages including C/OpenMP, OpenCL, CUDA, AMP++, and OpenACC is clearly visible and a vibrant reality among programmers. 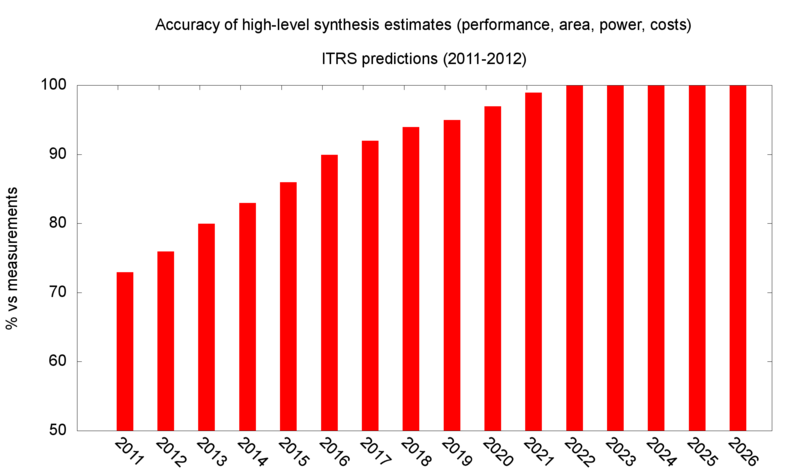 The following figure indicates that within less than 10 years ALL computational platforms from the HPC realm to the autonomous, omnipresent, embedded systems will require full support by accessible tools.